Will Sony Suffer In Their Possible Bid To Bring Back Iconic Games? 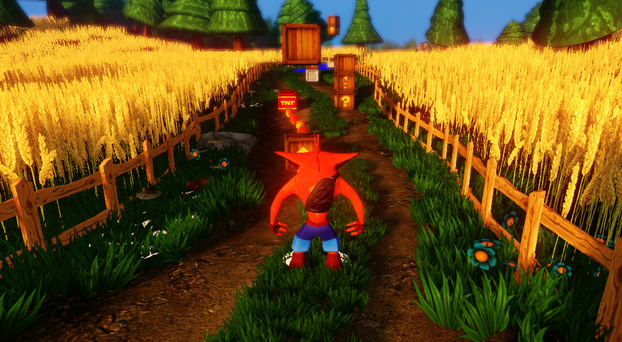 There are many lovable protagonists we are able to associate with our childhood sprouting from the work of Sony, with the likes of Crash Bandicoot and Spyro tipping the headlines as the more 'well-known' characters of our youths. This everlasting love for our favourite game characters has captured Sony's profitable imagination, CEO Andrew House has confirmed that Sony are mulling over the opportunity to bring back the likes of Bandicoot, Spyro and Jak and Daxter to their illustrious new console, the PS4. In an interview with The Telegraph, House was asked whether gamers will ever see the likes of these formidable character revived from the ancient grasps of the Playstation One and 2. "We've started to say that maybe there isn't anything wrong with going back and looking at characters that people still talk about, that were a big part of either their childhood or their youth. I definitely wouldn't close the door on that." Sony have made it clear their possible intentions in recreating these games, but if they were to go ahead with these exciting plans, there may be a few problems on the horizon. With the rights to both Crash Bandicoot and Spyro being owned by Activision, this could cause even further problems as it seems that Activision are incredibly sensitive about their productions, in fact, the character of Crash is so protected by its creators that it was not allowed to be used as part of a fan art competition in celebration of its 30th Anniversary art book. With such beloved characters being reconstructed on the horizon, gamers should look past their rose tinted spectacles and think whether a revival is such a good idea. Gamers from all aspects of the gaming world have watched cautiously over years as constructions of games have been published, alongside sequels of games which have been deemed worse then its original, these include games such as Halo and Call Of Duty, both of which have been considered to be worsening throughout the series. Even though gamers will be excited at the thought of deja vu, could a possible remake of our favourite games ruin our memories of hysteria and elation? Do you think that Sony should remake our favourite games? And if so, are you excited about the opportunity to suffer from a severe case of deja vu?